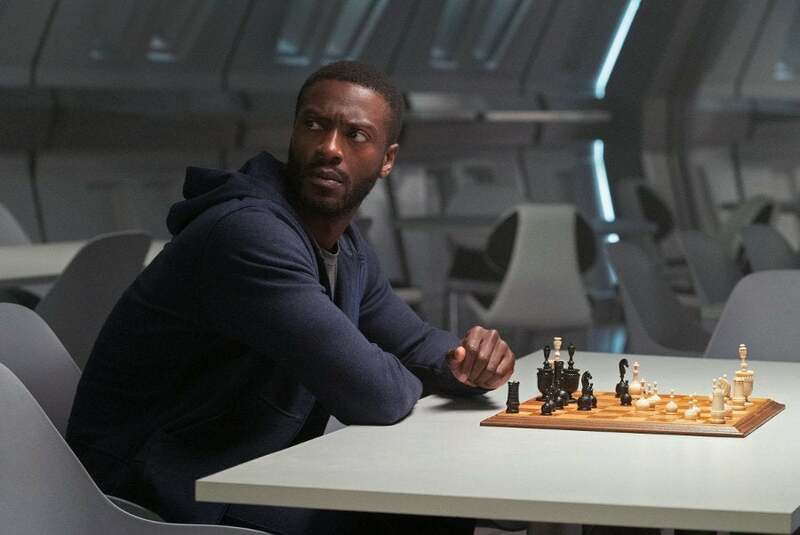 Star Trek: Aldis Hodge Talks Introducing Craft in 'Short Treks' "Calypso"
Star Trek: Short Treks returns this week with a new episode titled "Calypso." Even within the context of this first of its kind series of Star Trek short films, "Calypso" is unique in that it introduces a brand-new character rather than spotlighting a character from Star Trek: Discovery. That character is known as Craft and is played by Aldis Hodge. 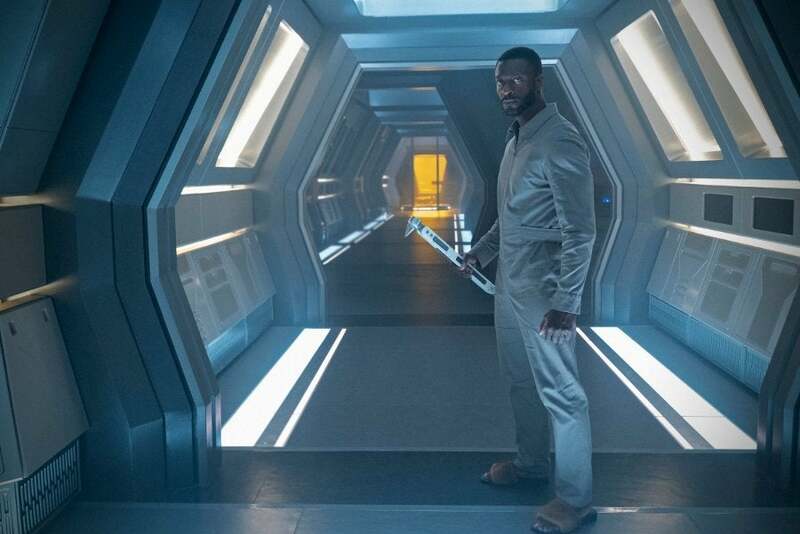 "Calypso"'s plot has been kept under wraps, but a recent trailer revealed that the episode takes place 1,000 years into the future of Star Trek: Discovery and involves an artificial intelligence aboard the USS Discovery. 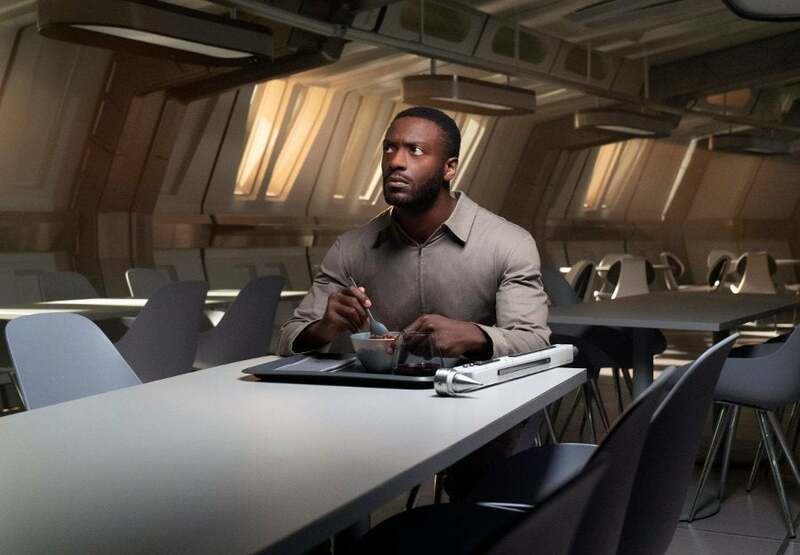 ComicBook.com spoke to Hodge about making his Star Trek debut as Craft in this mysterious short, what it was like working with Pulitzer-prize winning author Michael Chabon, and what his future in the Star Trek universe may be. Slide 1 of 7Who Is Craft? ComicBook.com: What can you tell me about this new character you’re playing, Craft? Aldis Hodge: So I honestly don't know too much. It wasn't told too much about Craft. All I know about Craft is what we'll learn in the story, which is he's a soldier, of course, set 1,000 years in the future, coming off of fighting this war. We meet him in a place where he's near death. He's been drifting in space for God knows how long. And he comes to and doesn't really understand where he is, what he is, what's going on. So he's trying to figure this out. But we do know he's a soldier, he's a family man who's trying to get back to his family. Were you familiar with the Star Trek universe before coming on to play Craft? Or was it something you researched or maybe chose not to research? Oh, no, no, I was familiar. I grew up watching Star Trek and I watched all the movies and things like that. So I was familiar with the world absolutely. And I like what they're doing with this show [Star Trek: Discovery]. I mean the production value, the quality of the show is insane. And also I know Sonequa [Martin-Green], so I'm a fan of hers, so, of course, I'm going to support. But I think that it's awesome to grow up watching that and then actually be able to join the Star Trek universe in any capacity. But in a way, this, for me, is so crazy just because he's in a different point in the Star Trek universe because he's 1,000 years in the future. So we don't even know what that means. There's a lot of questions that will pop up from this episode, I think, that will leave people wanting some answers. This is a pretty unique script compared to your average episode of Star Trek, or even Star Trek: Discovery. What was your reaction when you first read it? Oh, first reaction, I was really surprised at the depth that was in there in terms of emotions, who his character was. You know, I'm thinking Star Trek, I'm running around just shooting, killing aliens, doing whatever, which would've been awesome. But there's a level of genuine sincerity to this character and sort of credence to who he is and finding himself as a person that's really awesome. The storytelling, I think, is fantastic. [Michael] Chabon did a great job with it. But I was surprised by it, I was pleasantly surprised, because I just wasn't expecting it. Speaking of Michael Chabon, he is, as far as I know, the first Pulitzer Prize-winning author to write an episode of Star Trek. Were you familiar with his work before you came into this? Did you get to work with him on set? I think there was a sense of surprise among fans when they announced he was writing for Star Trek. I was introduced to him and his work from learning about him writing on the show. And I don't even think that, while shooting the show, I didn't realize he was a Pulitzer Prize winner, which makes the stakes exponentially higher to perform well, you know. Because when you find that out it's just like, “Wait a minute, this is the level of skill that we have going on around here? What am I doing here?” But it was fantastic and really awesome to work with people who have... I mean that sort of accomplishment comes from, in my opinion, a different sort of experience and perspective on the art and the craft of that what you do, and for him, it's writing. So I think he added that to the story, which, like I said, led to the depth of who this character Craft is in a different way. And I think it elevated where we could go with the story, which helped me elevate the performance, at least I hope I did. It is quite a performance especially considering, without saying too much, you are performing alone for most of the episode. I am. It's me, myself, and I. What was that like? You're having a conversation, but I imagine you're the only one actually on set through most of it. How was that experience as an actor? For most of it, yeah. I mean we had an actress who was on before, she performed the voice while we were filming. And that helped immensely just because I needed that. I needed a teammate to work with. The beautiful thing about being the only person there is you have free range to do you and not really... There's a different sort of freedom to try things, but at the same time, you have a different sort of pressure to hold everything up because people are only going to be looking at you. So you have to really be engaged and understand what you're doing because this is also the Star Trek audience. You know, these people have been watching Star Trek for years, we've got to honor the audience and give them something that they're going to dig, that they're going to love, that they're going to know. And the pressure, the weight was there, but our crew and then our director, Olatunde [Osunsanmi], they made me feel so very comfortable and so confident in what I was doing. So I knew the pressure was there, I was aware of it, but it didn't weigh me down if that makes sense. If I’m not mistaken, this is also the first time that you've done something that fits into the space-set science fiction genre. Did that require a different kind of skillset as an actor, trying to imagine yourself in this very futuristic world? My application for acting is always the same, which is pull the honesty out of it. And that was easy to look at the honest nature of his intention and his humanity because of how beautifully written the script was. So I didn't really have to imagine too many traits. If you’re fighting aliens on screen, or if you're fighting some gangsters on screen, the rooted nature of that honesty is survival. So all you have to do is think, “I have to survive,” and how does that look like? You know, I think if you push too far outside of the realm of, “Oh you know this is aliens in space,” you kind of lose a little bit of your freedom or capacity to create because we have to play these aliens as though they are actual beings, and souls, and units. Right? They’re not human, but have that human synergy. If you look at them from a point of reality, it makes the process a lot more simple. It becomes a lot less to have to imagine. You know what I mean? Because it's already there plus the set is there, the makeup is there. The makeup is incredible. Oh my God! I went to the makeup trailer. I'm sorry. I got excited. But the makeup trailer, man, is insane. You can see them doing Saru and all that. Oh wow! It's really cool because it looks like they're actual creatures, like alive. Slide 7 of 7More Craft? I think our last question will be the question I expect to be on the minds of everyone who watches the episode. Are we going to see more of Craft at some point in the future, on Star Trek: Discovery or elsewhere? I guess the audience will tell us that. I honestly don't know but I will say that I hope it's not the last that we see of Craft. Star Trek: Short Treks "Calypso" becomes available to stream on November 8th at 9:30 pm ET on CBS All Access.